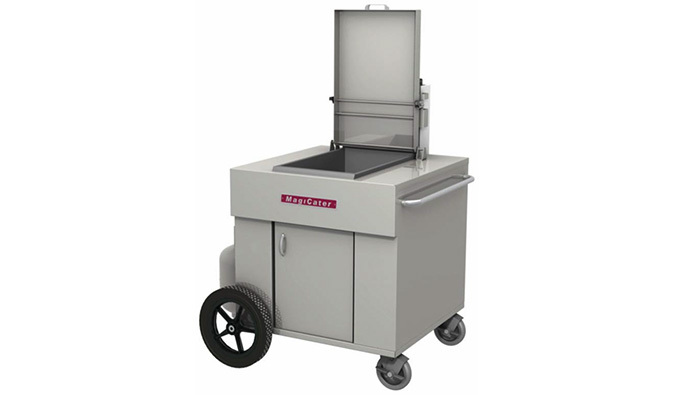 MagiCater Outdoor Cooking Equipment lineup now includes a high quality commercial grade fryer. 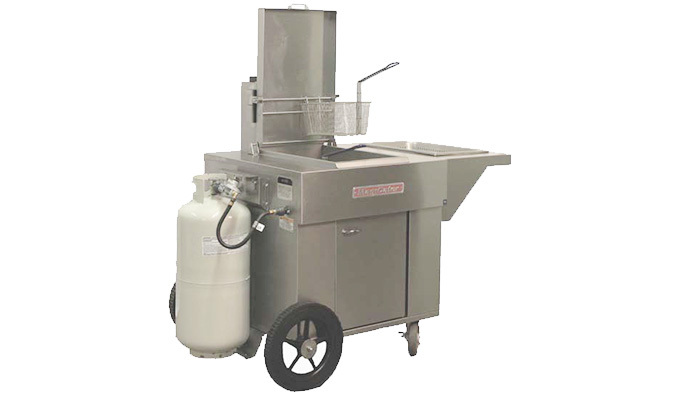 This portable fryer unit is designed for commercial use and is equipped with all the amenities an outdoor Chef needs. 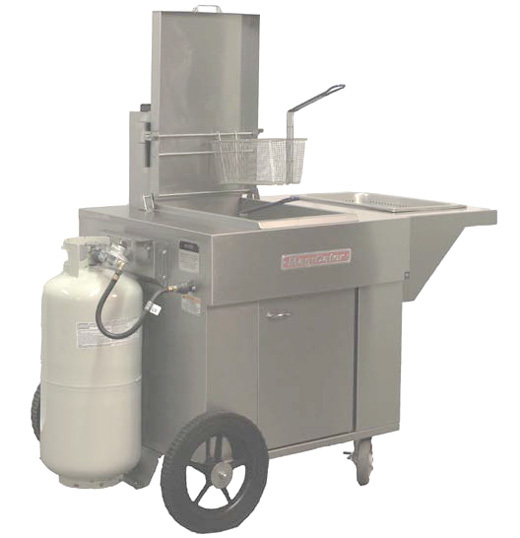 A Heavy Duty Commercial Grade portable fryer from MagiKitch'n, the leader in commercial outdoor barbeque cooking equipment! Stainless steel cabinet, fry tank. Two 14” wheels and two total lock casters. Two fry baskets per tank. Tank holders to hold 30 lb.vertical propane tank(s). Ships complete with Propane Tanks included! Stainless steel positive latch cover with integrated basket hanger. Ships fully assembled on a skid.